We treat many patients throughout their pregnancy and labour. Some women ask what they can do to prevent the ‘baby blues’, or more serious complaint of postnatal depression (otherwise known as postpartum depression). Sometimes women have experienced a prolonged labour and, combined with lack of sleep and the emotional adjustment of having a new baby, it’s not surprising to find that the mood can be affected. The benefits of a balanced diet are well documented, so it follows that nutritìon can play a vital role in supporting the body and mind after giving birth. 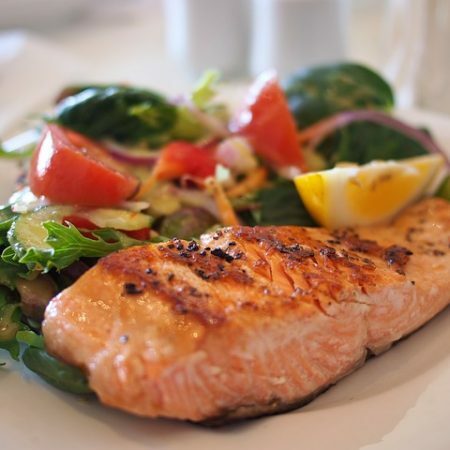 Eat a diet rich in omega essential fatty acids in the third trimester – studies have shown that those who consumed a high intake of seafood during the third trimester were less likely to show signs of major depression (a high intake = 2-3 portions of fish weekly). Eat foods containing Zinc – Zinc deficiency has been linked with depression, so it’s important to make sure that you incorporate foods such as avocados, olives, squash, sweet potatoes, cauliflower, onions, artichokes, lettuce, tomatoes, cucumber, spinach, radish and peas into your diet. Pumpkin seeds, sunflower seeds, cashew, pine nuts, brazil nuts, almonds and walnuts are also high in Zinc. Eat Tryptophan-rich foods – like Chicken, Turkey, Salmon, Kidney beans, Oats, lentils, chickpeas, pumpkin and sunflower seeds, walnuts and avocado. Tryptophan is the precursor of serotonin, the hormone that is linked with mood. Avoid sugar – refined carbohydrates such as white bread and pasta, caffeine and alcohol. Eat little and often – a balanced blood sugar is linked with a more balanced mood. Eating regularly is especially important when breastfeeding. Some patients struggle to get the required amounts of essential vitamins and minerals through diet alone, so we often suggest taking a quality supplement both during pregnancy and postnatally. We recommend Biocare’s Pregnancy and Lactation Formula – available via their website or over the counter at our dispensary. If you’d like to find out more about using nutritional therapy or herbal medicine to prevent post-natal depression – get in touch with Lucy or Jodie.